Townely Park, Burnley, provided a picturesque setting for the latest Mid-Lancs Cross Country race. With many of the LPS teams in with a chance of medals, there was plenty at stake. Edge Hill university student, Tiffany Penfold, produced the best individual performance on the day, with victory in U20 women’s race and helped the senior team secure second place. The other team members were Helen Sahgal (9), Hilary Honeyball(14) and Vicki Gilbody (28), but they narrowly lost out to Blackpool AC. 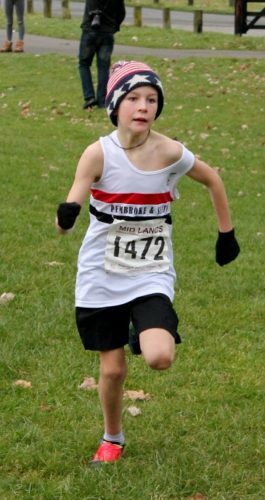 The diminutive, Zac Dickinson was in fine form at U11 level, finishing in 5th place. With Nathan Naylor (22) & Ethan Tinsley (41) they finished 4th place team, but also managed to maintain their position at the top of the league. Thomas Sleight (52) & Lewis Tinsley (70) were the club’s other 2 runners in this age group. 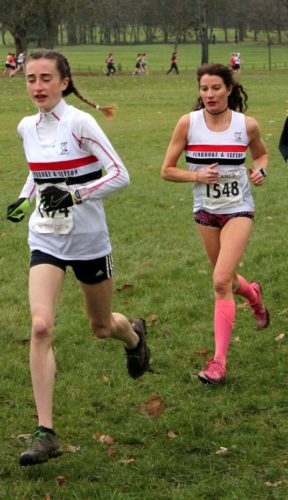 The girl’s team finished 5th, with Georgia Hurst (14), Hannah Williamson (31) & Amy English (33) making up the team. The U15 Girl’s team packed well as a team, with only 5 places separating the club’s first 3 runners. Jenny Williamson (12), Annabelle Corlett(15) & Hannah Doyle (17) were the 3 counters on the day, securing a 3rd place finish. 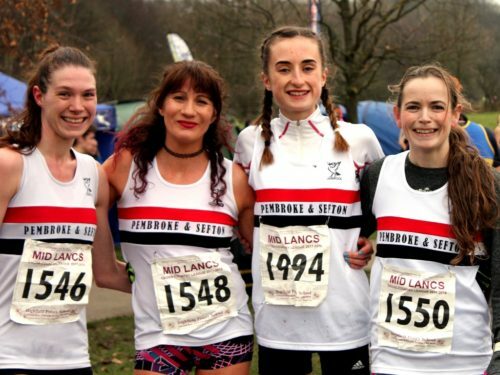 Pheobe Lucas (19), Faye Hannaway (24), Freya Wissett( 26), Niamh Doyle (31) & Imogen Fearon (35) were the club’s other runners. This performance keeps them firmly in medal contention. The U15 boys were well led by Oliver Sutcliffe (5) who continued his fine run of form. Tom Corcoran (16), Daniel Howells (31) & Jared Nicholls (35) made up the team score. Thomas Corlett had his best run for the club finishing 9th in the U17 race while Danny Gilbody was the sole runner in the senior men’s race finishing in 92nd place. 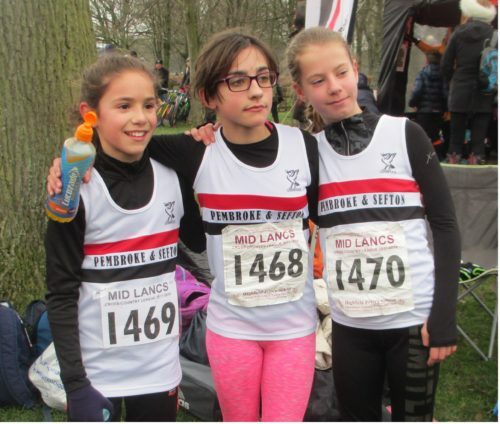 The next race in February is at Rylands Park in Lancashire.